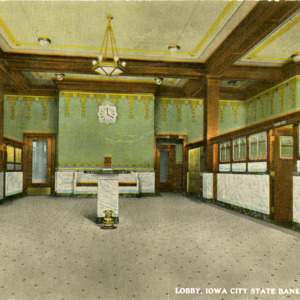 The Iowa City State Bank was located at 202 South Clinton Street. Postcard sent from Stella [Futach] to Mary Brejcha, postmarked February 29, 1916. George Washington 1-cent stamp.